What do Madam CJ Walker, Sam Walton and Josie Natori have in common? They were all "INSPIRED" by a problem or opportunity that led them on the path to become entrepreneurs. Each share a story of how they started with very little to build successful businesses. 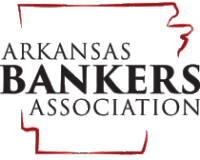 Economics Arkansas and Stephens, Inc. have partnered to develop engaging activites for students based on short videos of these success stories. The lessons are designed to serve as a bell ringer, mini lesson or a class period lesson with extension activities.